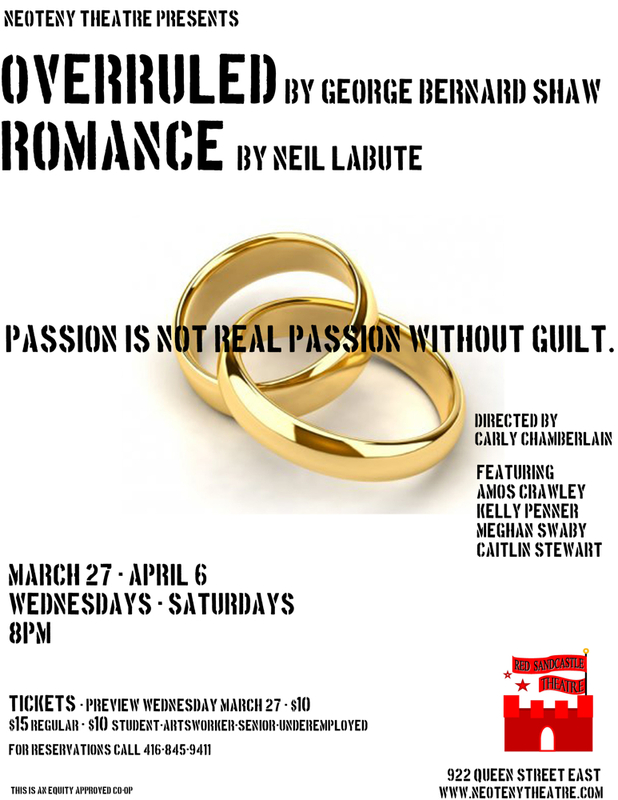 Neoteny Theatre‘s first production is a double-bill of plays exploring monogamy and infidelity: Overruled by George Bernard Shaw and Romance by Neil Labute. There must’ve been something in the air during the recording of this episode because, while the director Carly Chamberlain(also Neoteny’s Artistic Producer) and assistant director Susan Bond had fascinating things to say about their plays, their rehearsal process, dramaturgy, and direction… the one-liners were just irresistable. There are more details and behind the scenes peeks here. Posted on March 17th, 2013. 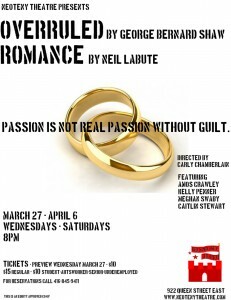 This entry was posted in Theatre and tagged carly-chamberlain, george-bernard-shaw, infidelity, neil-labute, susan-bond, toronto. Bookmark the permalink.